Few things are as frustrating as when your digital camera just won't work. This type of problem can manifest itself in a variety of ways. Perhaps the camera won't power on or it won't allow you to shoot the exact type of photo you want to create. Perhaps you can't control an aspect of the camera you think you should be able to set. Or maybe the image quality you're receiving just isn't what you're expecting. Some problems are extremely complex and may require shipping your camera to a repair center. Other problems, however, are extremely easy to fix, if you know what to do. Learn how to troubleshoot camera problems with these easy-to-follow tips. The most common cause of this problem is the battery. The battery could be drained, inserted improperly, have dirty metal contacts, or malfunctioning. Make sure the battery is fully charged. Make sure the battery compartment is free of grime and particles that could interfere with the metal contacts. Make sure you've selected a photography mode with your camera, rather than a playback mode or a video mode. If your camera's battery power is low, the camera might not be able to record photos. Additionally, if your camera's internal memory area or your memory card is full, the camera won't record any more photos. Some cameras contain a "monitor" button, which allows you to turn the LCD on and off; make sure you haven't inadvertently pressed this button. If your camera's power saving mode is enabled, the LCD will go blank after a certain period of inactivity. You can lengthen the amount of time before the camera enters power saving mode -- or you can turn off power saving mode – through the camera's menus. It's also possible the camera has locked up, leaving the LCD blank. To reset the camera, remove the battery and memory card for 10 minutes before trying to power up the camera again. Some LCDs are very difficult to view in direct sunlight. The glare off the LCD makes it almost impossible to see the images. Try creating a shadow over the LCD by using your hand to make the LCD easier to see in direct sunlight. Or, if your camera has a viewfinder, use it to frame your photos in bright sunlight, rather than using the LCD. Some cameras allow you to set the brightness of the LCD, meaning it's possible the LCD's brightness has been turned to its lowest setting, leaving the LCD dim. Reset the LCD's brightness through the camera's menus. It's also possible the LCD is simply dirty. Use a dry microfiber cloth to gently clean the LCD. If you're having poor photo quality, it isn't a given that the problem lies with the camera. You can improve photo quality by using better lighting, proper framing, good subjects, and sharp focus. If your camera has a small built-in flash unit, you may end up with poor results in low light situations. Consider shooting in the fully automatic mode to allow the camera to create all of the settings, ensuring you have the best chance of creating a well-exposed photo. Shooting at a higher resolution doesn't guarantee better photos, but it can help. Make sure the lens is clean, as spots or dust on the lens can cause image-quality problems. If you're shooting in low light conditions, use a tripod or use the camera's image stabilization feature to reduce camera shake, such as is shown in the photo above. Otherwise, try leaning against a wall or door frame to steady yourself and avoid camera shake. Finally, some cameras just don't work well, especially if they're older models that have been dropped a time or two. Consider upgrading your camera equipment, if you've had it for a few years and if the image quality suddenly is reduced after a drop. Obviously, the problems and solutions listed here are pretty easy to implement. 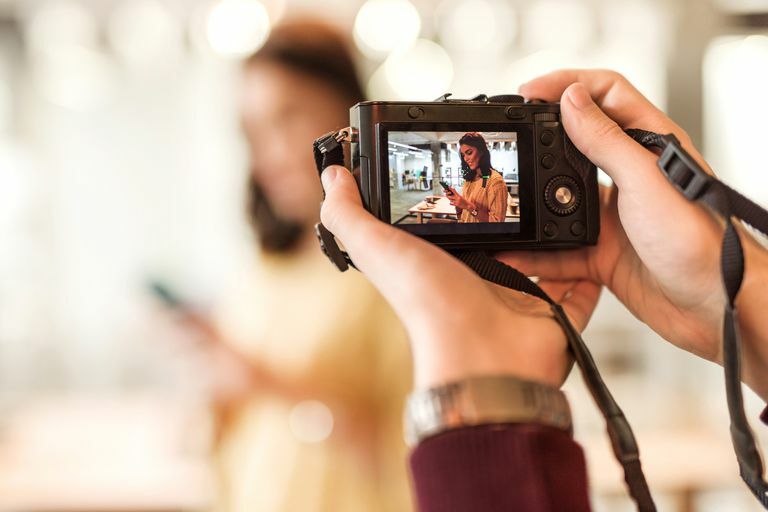 If you have a more serious digital camera problem and the camera gives you an error message, check your user guide, or check out our article on common camera error messages to try to fix the problem.